This is a report respectfully submitted in response to the Kalpana No. 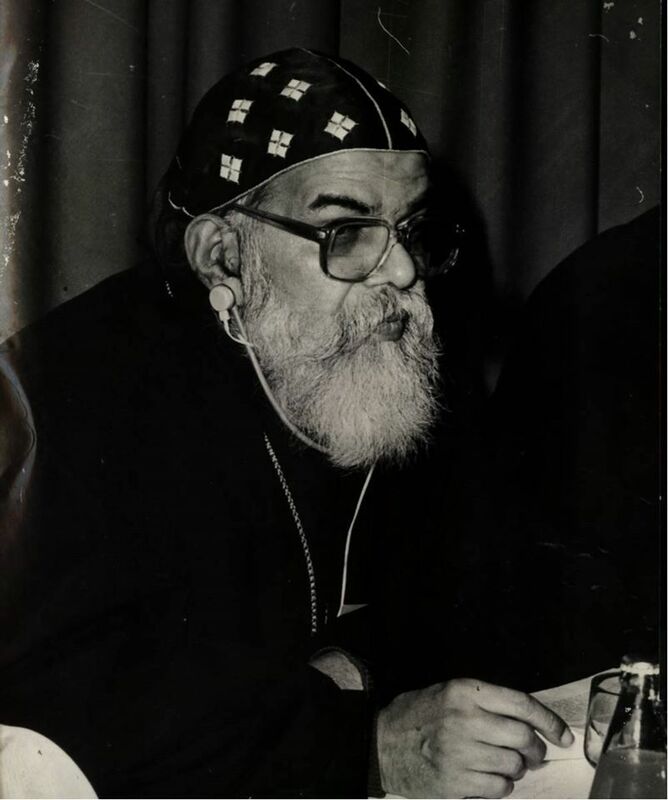 5/74 dated August 10, 1974 from His Grace the Secretary to the Holy Synod, asking for background information and interpretation on the questions raised by His Holiness the Patriarch of Antioch in his letter 52/74 dated 30-1-74 (paras 1, 4 & 4) and 196/74 dated 15-7-74 (point 1), concerning the throne of St. Thomas and its place in the Malankara Church. We were asked to examine the points biblically, historically and theologically. The word throne is thronos in Greek, kisse in Hebrew, korse in Biblical Aramaic, and kursyo in Syriac. The Hebrew word kisse is used for the seat of authority of a king, prince or judge. Primarily it is applied to the seat of God (1 Kings 22:19, Isaiah 6:1, Ezekiel 1:26, Psalms 11:4,47:8 etc). Pharaoh’s throne is referred to in Genesis 41:40, Exodus 11:5 etc. David’s throne is referred to quite frequently (2 Sam. 3:10, 1 Kgs. 2:5 etc). His throne was burning fire and its wheels burning flame”. Here in the vision of Daniel, we see the background of the book of Revelation. In Rev. 4:2 we see a throne in heaven which is the seat of God and in 4:4 we see twenty four other thrones set around the throne of God. 24 elders were seated on the 24 thrones (Rev. 4:4), clad in white garments and with a golden crown on the head of each. We can only guess that the 24 elders are the 12 tribal patriarchs of the Old Testament and the 12 Apostles of the New Testament. (Rev. 11 : 6). There is a clear reference in the New Testament to the twelve Apostles having twelve thrones in the kingdom. These are the words of our Lord Himself and no one is entitled to question them. “But Jesus said to them : Amen, I say to you, you who have followed me, when the Son of Man is seated on the throne of his glory in the rebirth (palingenesia) , you yourselves shall also sit upon twelve thrones (epidoleka thronois) ruling the twelve tribes of Israel. “You are those who have continued with me in trials. As my father appointed a Kingdom for me, so do I appoint for you that you may eat and drink at my table in my Kingdom, and sit on thrones judging the twelve tribes of Israel. From these two passages it is quite clear that Our Lord promised twelve thrones to the twelve apostles. Even Judas Iscariot was promised a throne, but he fell from his honour and another inherited his place. If the Twelve have thrones, then there can be no doubt at all that St. Thomas The Apostle had also a throne. It is crystal clear that there is no biblical reference to a special throne of Peter not shared among the Twelve. The Patriarch is clearly wrong when he states that “it is a biblically founded truth and universally accepted fact that the only Throne in the Holy Universal Syrian Orthodox Church is that of St. Peter”. In the first place we do not know anything in the Bible or in the rest of Tradition about a “Holy Universal Syrian Orthodox Church”. In the second place, the Bible does not say anything about any kind of Syrian Orthodox Church at all. In the third place the Bible does not speak about a special throne of St. Peter. In the fourth place the Bible does not relate the throne of Peter to the Syrian Church or to the Roman Church. In the fifth place the claims of the Patriarch in this regard are neither biblically founded nor universally accepted. The word thronos gradually gave place to the other Greek word for the seat of authority kathedra used in Mt.23:2 for the seat of Moses or the place of the teaching authority of the Mosaic Law(the Pharisees sit in Moses- kathedra). The episcopal seat becomes a regular feature of all episcopal churches by about the 4th century. St. John Chrysostom speaks about the splendour of the churches in general and particularly of the cities. Every city church has a bishop of its own and every church with a resident bishop has a kathedra or episcopal throne built in the church itself. The word “cathedral” comes from kathedra which in Christian use means a bishop’s chair. A cathedral is not simply a large church, but a church which has the bishop’s throne in it. And every bishop has a throne. -Grant to them the episcopal throne (chair) to rule thy church and the Catholic people. Be to them authority, be to them powers, be to them strength! If any bishop without a see shall throw himself upon a vacant church and seize its throne, without (consent of ) full synod, he shall be cast out, even if all the people over whom he has usurped jurisdiction should choose him. The Apostolic Constitutions (Bk VIII:II:V) also asks that the bishop be placed on his throne. It seems clear that all bishops have thrones, and that this was ordained by the Twelve Apostles. In the Tradition as a whole we do not hear very much of the thrones of particular apostles. Rather apostolic thrones are shared by all the bishops. Every bishop succeeds to the Apostolic throne of the whole college of Apostles. On the basis of our examination of the biblical, theological and historical grounds, we would give the following opinion. a) The throne is the seat and symbol of authority and is primarily applied to the highest of all authorities from whom every authority comes- i.e. the authority of God and therefore the Throne of God. b) In the Scriptural accounts the throne of God is shared by Jesus Christ, the Son of Man, who is both God and Man without separation. The throne symbolizes the ruling power of Jesus Christ who sits at the right hand of God the Father. He is the ruler and the judge. c) Jesus Christ shares his throne with others. In the book of Revelation 24 elders share it with him. In St. Mathew and St. Luke our Lord promises twelve thrones to the twelve apostles. There is no indication at all in the Bible that St. Peter alone has the throne. If St. Peter has a throne then St. Thomas has one also. In this matter of throne at least, there is no difference between St. Peter and St. Thomas. In the Tradition of the church, all bishops had thrones. Most of these bishops did not identify their thronos as belonging to any particular apostle. Even the bishops of Antioch, who were later called that they were seated on the “Apostolic throne of Antioch” and not on the -Apostolic Throne of Peter-. The Patriarch’s letter- head even to this day speaks only of the Apostolic Throne and not of the throne of St. Peter. There is no such thing as the Holy Universal Syrian Orthodox Church. The words Holy, Catholic, Apostolic and Orthodox can be applied only to the whole church, and cannot be claimed as an exclusive privilege of any national or regional church. The Syrian Orthodox Church is one manifestation of the one Orthodox Church, and cannot claim any universal jurisdiction. In the past only the Roman Church has claimed universal jurisdiction. There is a defined geographical boundary for the jurisdiction of any church, be it Rome, Constantinople or Antioch. It is my opinion that all true Orthodox Churches share in the fullness of the Apostles teaching and succession. Every bishop, whether he is in Antioch or Kottayam, shares in the throne and authority of the Twelve Apostles – including St. Peter and St. Thomas. However, special claims are sometimes made by certain bishops to certain special apostles. Thus the bishops of Rome and now of Antioch claim a special throne of St. Peter, the bishop of Constantinople claims the throne of St. Peter’s brother St. Andrew, the Indians the throne of St. Thomas. All these claims are based on historical data and have their own validity, but little or no special theological significance. Rome and Antioch can never claim to be the exclusive succession of Peter for two reasons. Peter has established churches in other places and others are claiming to be his successors. There is no evidence at all that the churches in Antioch or Rome were established by St. Peter. The church was already in Antioch before St. Peter went there. In Acts 8:1, the apostles are still in Jerusalem, and their travels during the early period are limited to Jerusalem, Judea, Samaria and Galilee. It was while the Apostles were in Judah that they heard about the Gentiles receiving the word of God (Acts 11:1). In Acts 11:19ff we see the Christians who were scattered (this group does not include the Apostles- see Acts 8:1) traveling to Antioch and speaking the word to the pagans at Antioch and establishing the church there. When the Apostles in Jerusalem hear about the establishment of the church in Antioch Peter has not yet visited Antioch. The Apostles sent Barnabas to Antioch (Acts 11:22). Barnabas went to Tarsus and brought St. Paul to Antioch. The church in Antioch was thus not established by any Apostle. When there is a controversy between those Christians who insist on the observance of the Jewish law and those who do not, the church in Antioch sends St. Paul and St. Barnabas and others to go to Jerusalem where the Apostles were(Acts 15:1-4). Clearly the Antiochian church was not established by Peter or any of the Apostles. The fact that St. Peter was in Antioch is not recorded in the book of Acts. The last we see of St. Peter in the New Testament, he is in Caesaria of Palestine and has not even once visited Antioch . The claims of Antioch to have the throne of Peter cannot be sustained by the Bible. The claims of Rome or Antioch to have the throne of St. Peter have no biblical basis. All such special claims to special apostolic thrones are made on the basis of local or universal tradition and have to be judged on that basis. The Patriarch’s statement in para 4 of his letter 52/74 dated 30-1-1974 that “since St. Thomas had no throne, the use of that title and the very concept of the same is unfounded and uncanonical, seems to be a clear error. All the biblical evidence points to 12 Apostolic thrones and not to one. The canonical evidence for the throne of St. Thomas is as good as the canonical evidence for the throne of St. Peter in Antioch. Any exclusive claim that St. Peter alone has a throne is a major error, contrary to the teaching and tradition of the church. A pronouncement by the ruling Patriarch of Antioch that St. Thomas has no throne cannot destroy what has been clearly acknowledged by his predecessors. In the encyclical of the Patriarch of Antioch after he had consecrated the Indian Catholicos in 1912, it is clearly mentioned that the Catholicos is for the throne of St. Thomas. When the first Catholicos was consecrated he was officially declared as “Catholicos of the East on the Throne of St. Thomas”. In the speech of the Syrian Patriarch on September 17th 1912 after the consecration, the Patriarch clearly declared the Catholicos to be seated on the throne of St. Thomas. When accepting the present Catholicos the present Patriarch had made no qualification about the throne of St. Thomas and it does not make sense at all for him to raise any objection about it now. In the Kalpana No. 105 dated 16th December 1958 and in many other Kalpana issued by the Catholicos regarding the reconciliation with the Syrian Patriarch, the throne of St. Thomas is specifically mentioned in the letterhead. Patriarch of Antioch has no authority to annul an Apostolic Throne. He has no authority to instruct the church in India what Indian Christians should or should not believe about their father in Christ, St. Thomas and his throne. The Patriarch complains in para 11 of his letter No. 52/74 about the public declarations of the Catholicos regarding his equality in status to the Patriarch. This claim if made can be fully justified. The title Catholicos is more ancient than that of Patriarch in the Christian church. The Catholicos is the head of an autocephalous church with its own synod, which has authority to consecrate bishops to consecrate Holy Mooron(Chrism) , and to administer all matters of faith and order according to the tradition of the church. In authority the Patriarch has no greater power than the Catholicos. In rank, in the Syrian Orthodox Church the Patriarch comes before the Catholicos, but in the Armenian church the Patriarchs of Jerusalem and Constantinople are subject to the authority of the Catholicos. The Catholicos of the Georgian church has the same dignity and status as other Orthodox Patriarchs. Patriarch and Catholicos are equivalent titles. In his letter No. 196/74 dated 15-7-1974, under Roman numeral 1, the Patriarch wants “to know whether by setting up the throne of St. Thomas you claim that the spiritual grace emanates from the throne of St. Thomas”. The question of the Patriarch is not very clear. In the first place the throne of St. Thomas was not set up here by Indians, but brought here by the Apostle himself. Secondly the Apostolic throne in which all bishops share, is always a means of grace in every church. We hope that the Apostolic throne of all the Apostles brings grace to the Syrian church also. Spiritual grace in the church emanates from the Holy Trinity. There are many means of grace established in the church- the preaching of the word, the mysteries of the church, the prayer of the saints, the presence of the bishops, and we cannot make any claim that the grace of God comes to us exclusively through the throne of St. Thomas. Nor can the Syrian church claim that it comes exclusively through the throne of St. Peter. a) His claim that “the only Throne in the Holy Universal Syrian Orthodox Church is that of St. Peter” is clearly contrary to the faith of the Christian church. The Orthodox Church has no tradition of an exclusive throne of St. Peter, or of a Universal Syrian Orthodox Church. b) The claim of the Patriarch that the Malankara Syrian Church is “subordinate” to the Patriarch of Antioch is wrong. The truly constituted authority of the Malankara Syrian Church is the Holy Episcopal Synod with the Catholicos as its head. c) The Patriarch is wrong and teaching contrary to the faith of the church in denying the Apostolic Throne to one of the Twelve apostles of our Lord. d) The Patriarch is definitely wrong in assuming that he has any authority in the Malankara Syrian Church beyond what is granted him by the constitution of this church. 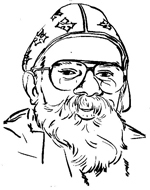 e) The establishment of the church in India by the Apostle Thomas is a widely accepted fact. Since all Apostles have thrones, India is the legitimate claimant to be on the Seat or Throne of St. Thomas. All ancient testimonies to the work of St. Thomas in India have a clear cumulative value for the throne of St. Thomas in India. The Patriarch is not justified in questioning the throne of St. Thomas in India.